If you are a de Wet in the Robertson Wine Valley, and you are a Winemaker, you are in good company. For years the de Wets have been making fine wines in this very special Wine Appellation. On Excelsior, wine has been made on the Estate since 1859 when Koos de Wet settled on the land and started clearing the Klein Karoo bush for agricultural purposes. Now Owner Peter de Wet sends Excelsior Wines to over 20 countries around the world. One of the other occupations of this de Wet Family was the breeding of outstanding race horses and with the Excelsior Evanthius Cabernet Sauvignon 2013 and the Excelsior San Louis Shiraz 2012, Peter pays homage to two of the greats. This Cabernet Sauvignon pays homage to Evanthuis, a Hackney horse that was imported by Excelsior in 1913. This Hackney sire was a champion in Britain and America, winning first prize four times at the London Hackney show and in New York, in the days when the Hackney was the king of the world. He went on to win many titles in South Africa, including that of Rosebank’s Champion Stallion. Rosebank was the home of the Western Province Agricultural Society annual show. 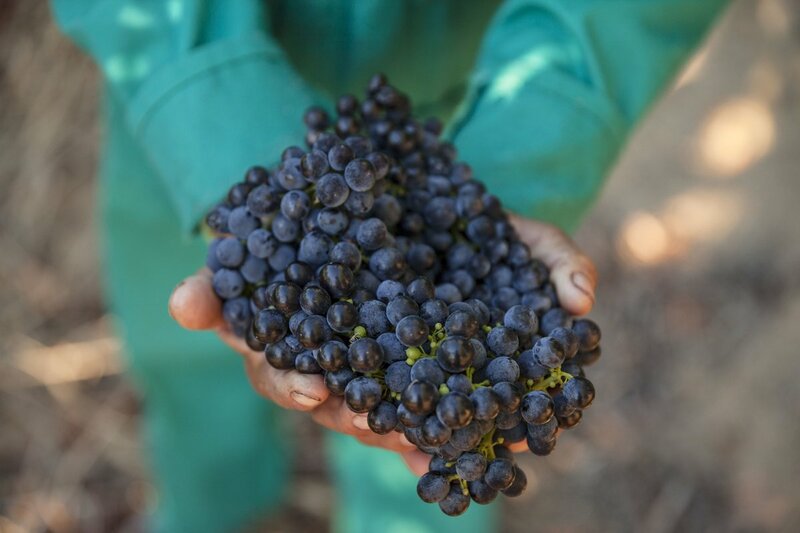 This Cabernet comes from the oldest vines on the farm, planted in 1988 in the best calcareous soils on the Estate. The wine was matured on small French oak barrels, half of them now, and the wine was blended from the best barrels. From an elegantly labelled Bordeaux shaped bottle, closed with natural cork. In the glass, the wine is an inky bloodplum at the core which pales out to a dark ruby at the edges. From entry a generosity of mouthfeel which has the characteristic blackcurrant, crème de cassis flavours. Beautifully intertwined are the cashmere clad tannins, dark chocolate, the dark fruit, oak and its concomitant spices. Long and gently waning aftertaste. This is a classical wine for meat or a lusty vegetarian or vegan main course. It will stretch to braaied steak with a spicy rub. And also great with your mid-week supper hamburger when you want a truly great glass of wine with which to end the day. In 1979 San Louis fell ill, stopped eating and grew tremendously weak. His grave was dug, but as he was being led to it, the decision was made to try and treat him for a little longer. Seven months later he had recovered completely. On 7 February 1981 San Louis won the 1600m Guineas horse race, one of South Africa’s most prestigious races. 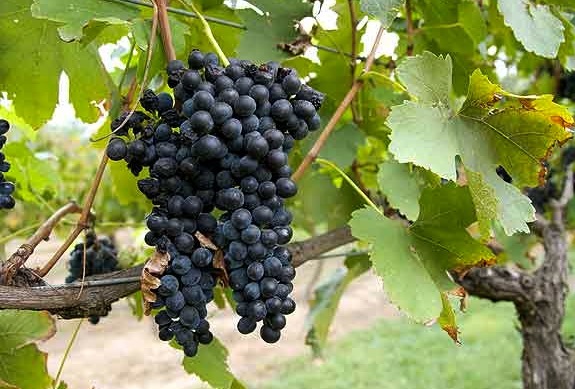 This vineyard is situated on deep, calcareous soils that allow deep root penetration. This enables the vineyard to withstand heat and drought. Fermented for five days on the skins, during the early times punch downs took place twice a day. Maturation took place for 18 months in American oak barrels of which 30% were new. From an elegantly labelled Bordeaux shaped bottle, closed with natural cork. In the glass a dark ruby at the core which pales out to ruby garnet at the edges. The aromas fair jump out of the glass at you. Delicious red and black berries and cherries and ripe plums. A slice of Christmas pudding touches of chocolate and coffee. Like the Evanthius, the wine has a full palate with the softest of tannins which are well interwoven with the Morello Cherry fruit in a long ending. Shiraz like spicy South African foods, so Bobotie, Boerewors and a good lamb and tomato bredie are excellent partners. Vegans and Vegetarians might choose a main course made with a fruit olive oil, of aubergines, tomatoes and wild mushrooms.